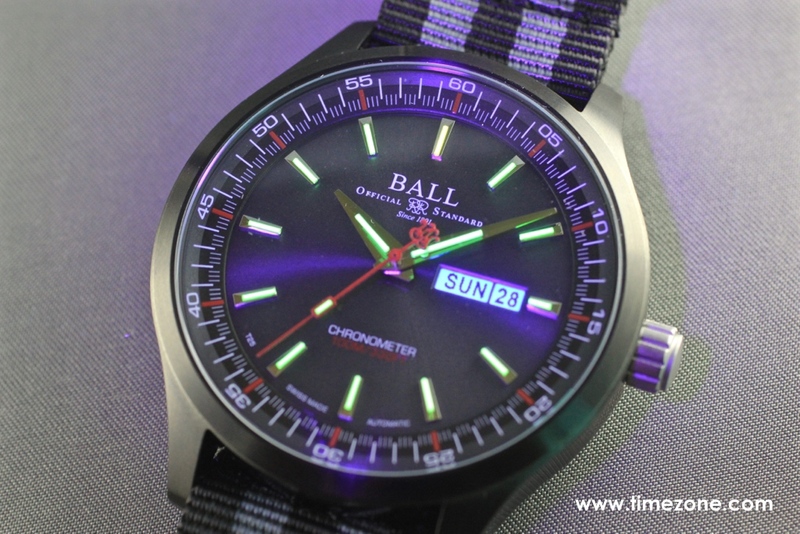 After meeting with BALL Watch Co. at Baselworld 2015, BALL Watch Co. USA previewed all its latest watches delivering to US authorized dealers & retailers. 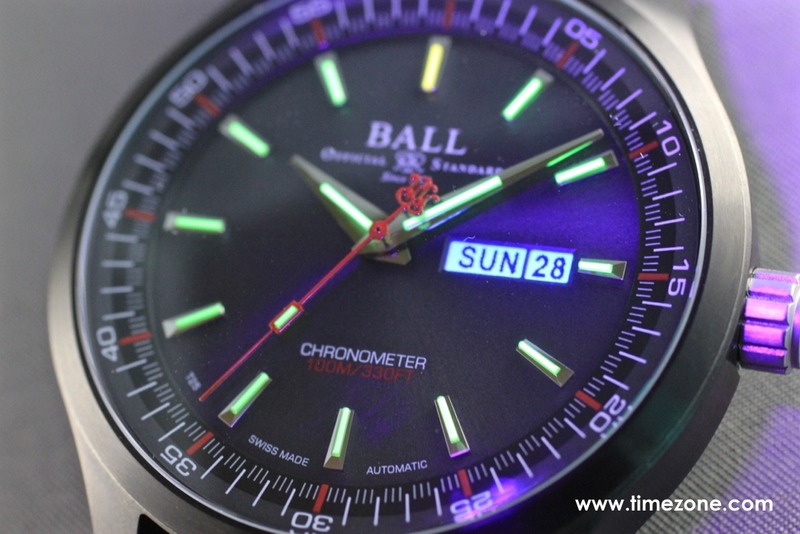 Innovative and rugged, every BALL watch is fitted with its patented H3 micro gas tubes technology that self-illuminate brightly for at least 25 years. Other innovations highlighted in this year's novelties include advanced materials like MuMetal, BALL's patented anti-magnetic system, 7,500 G force shock resistance and the patented crown protection system. 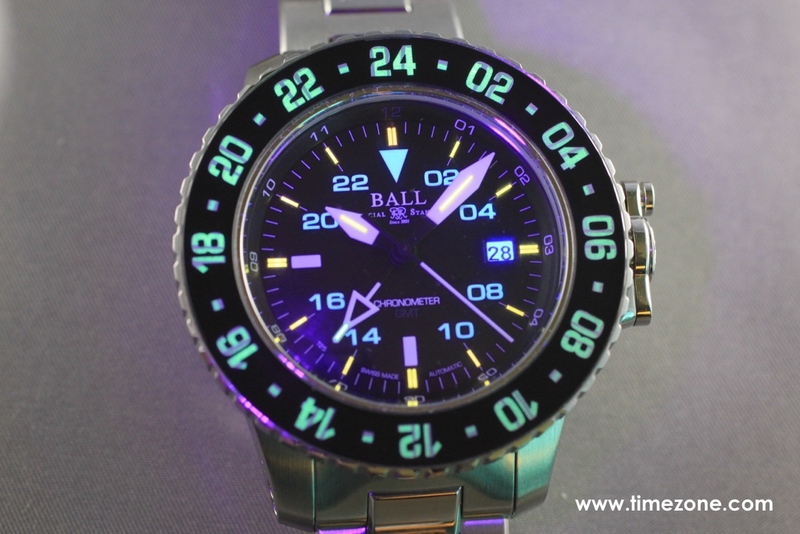 BALL integrates its patented tritium micro gas tubes into a self-illuminated 24-hour GMT bezel. 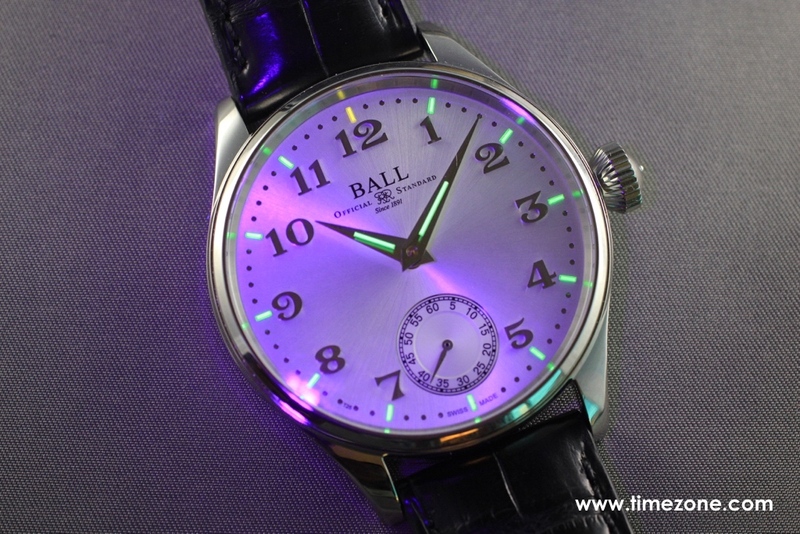 25 tritium tubes are integrated beneath the sapphire crystal of the bidirectional GMT bezel. 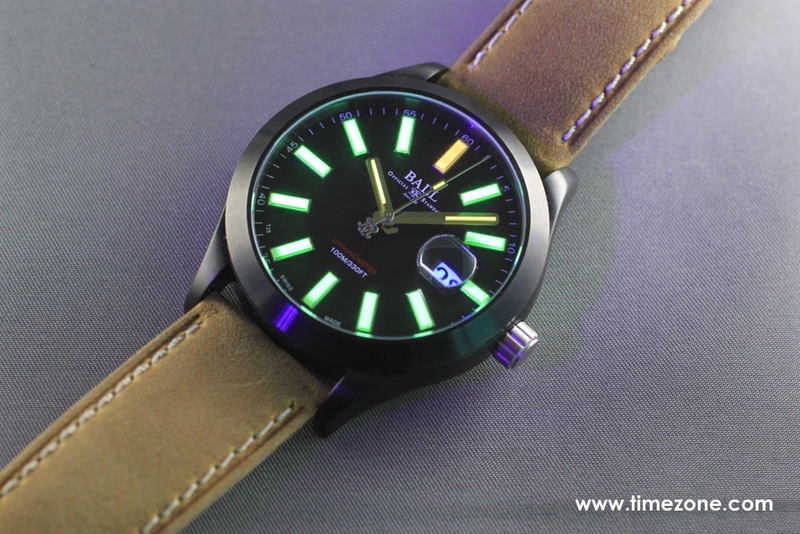 This was no simple endeavor and required US regulatory inspection and approval since this is the first time tritium has ever been used in a timepiece outside the dial. 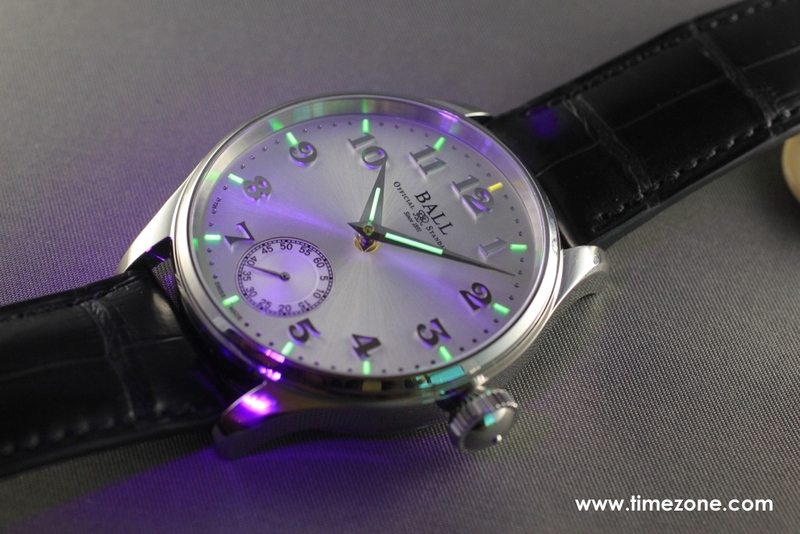 An additional 18 tritium tubes are fitted into the hour, minute, second time zone hands and dial for optimal visibility both day and night. The automatic BALL RR1201-C is a rugged COSC-certified caliber that can absorb impact of up to 7,500Gs, and is anti-magnetic to 4,800 A/m. 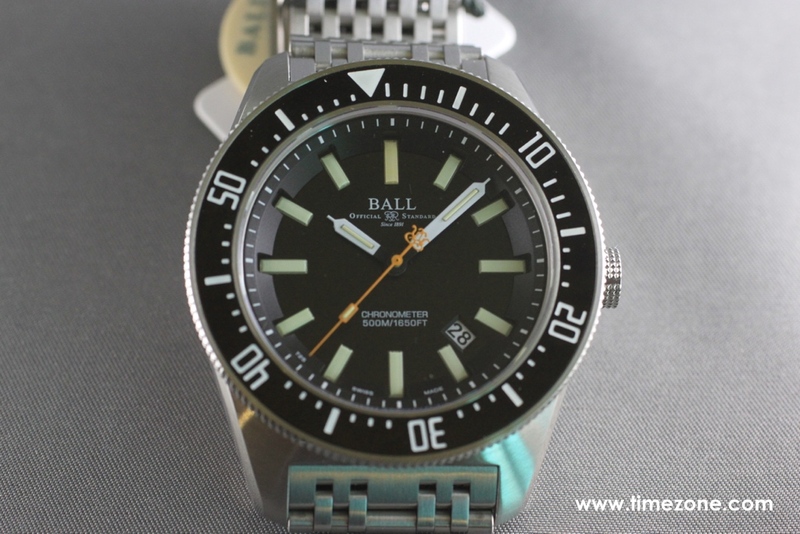 The 42mm stainless steel case is fitted with BALL's patented crown-protection system to guarantee water resistance to 300m. 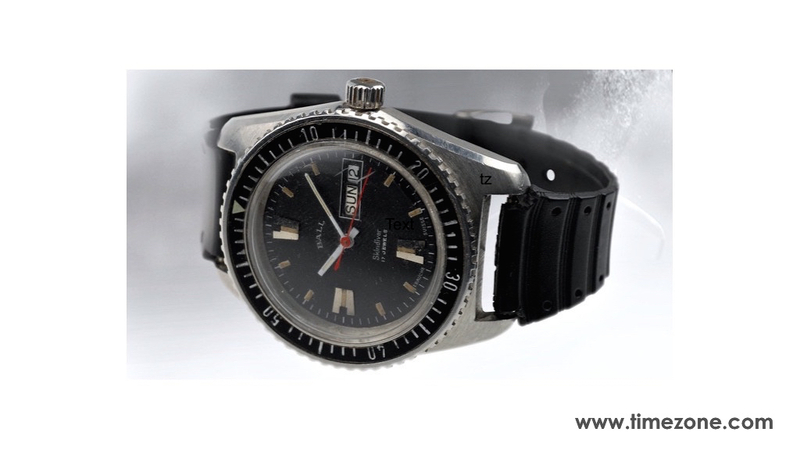 Price is $3,499 on bracelet and $3,200 on rubber strap. 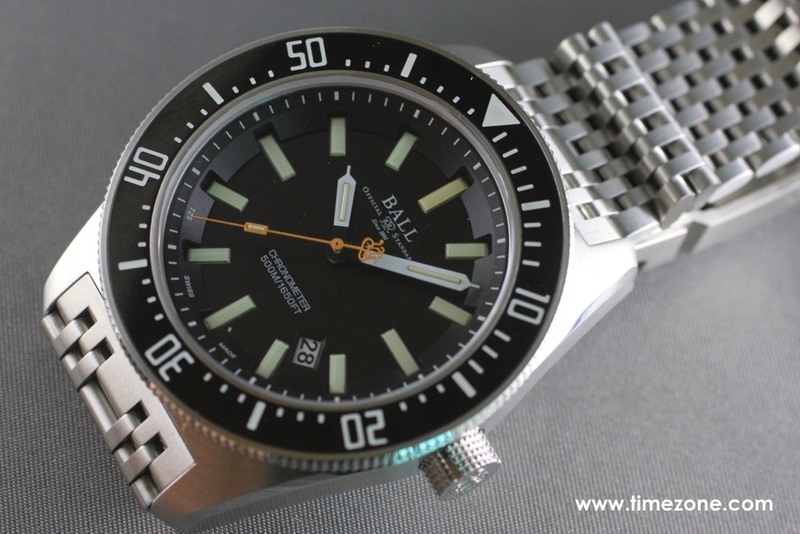 Inspired by a vintage BALL Skindiver from the 1960s, the stylish Engineer Master II Skindiver II updates its water restance to 500M over the previous 300M from the 2012 model, and adds a black ceramic unidirectional bezel with luminescent coating on all the markers. The automatic BALL RR1103-C is a rugged COSC-certified caliber that is shock resistant to 5,000Gs and anti-magnetic to 4,800 A/m. 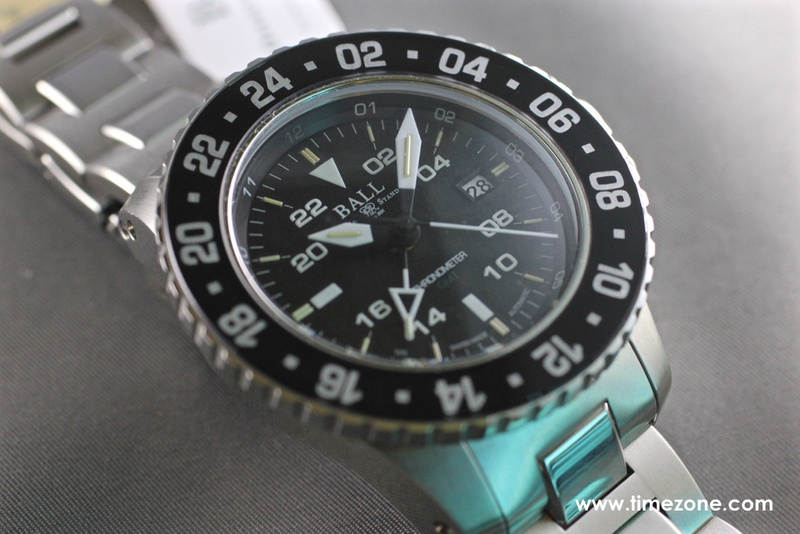 The 43mm stainless steel case features an automatic helium release valve integrated into the case. 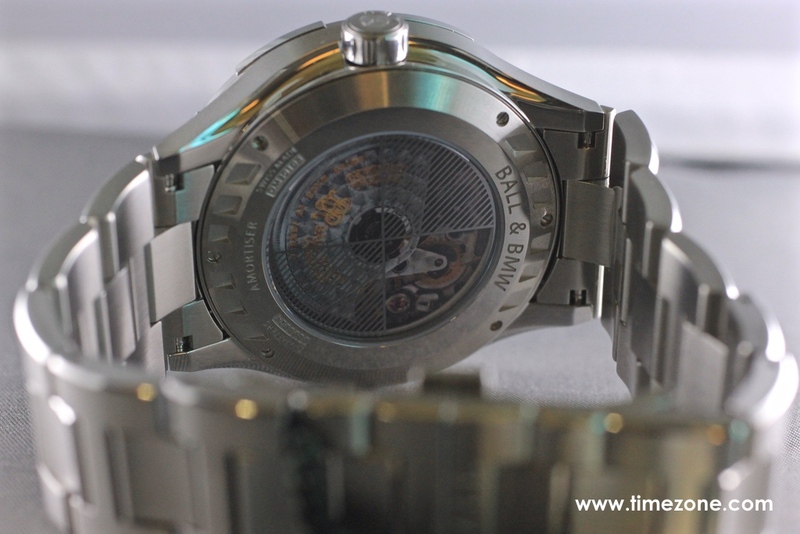 Price is $2,799, and includes both a stainless steel mesh bracelet and rubber strap. In the 1960s, President Kennedy said, "The green beret is a symbol of excellence, a badge of courage, a mark of distinction in the fight for freedom". From that moment on, the US Army Special Forces Airborne wore the green beret and became widely known as the, "Green Berets". 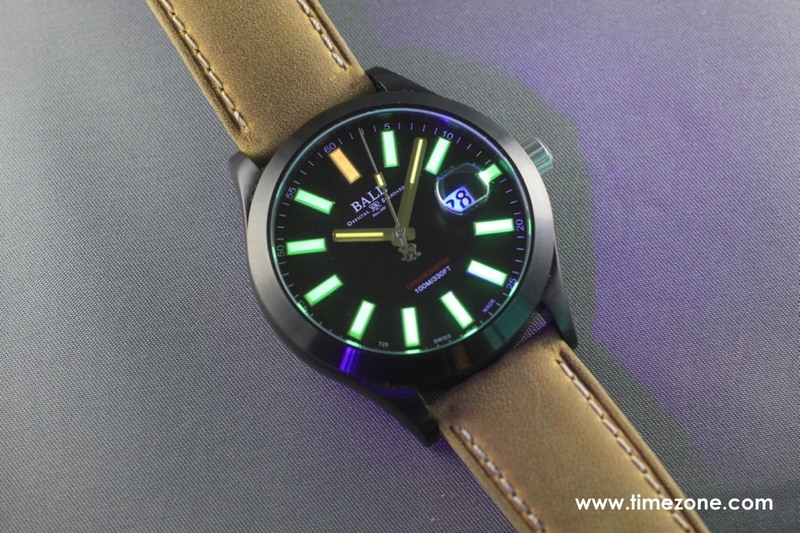 As a tribute to this elite unit, the Engineer II Green Berets combines an understated dial with a rugged movement. 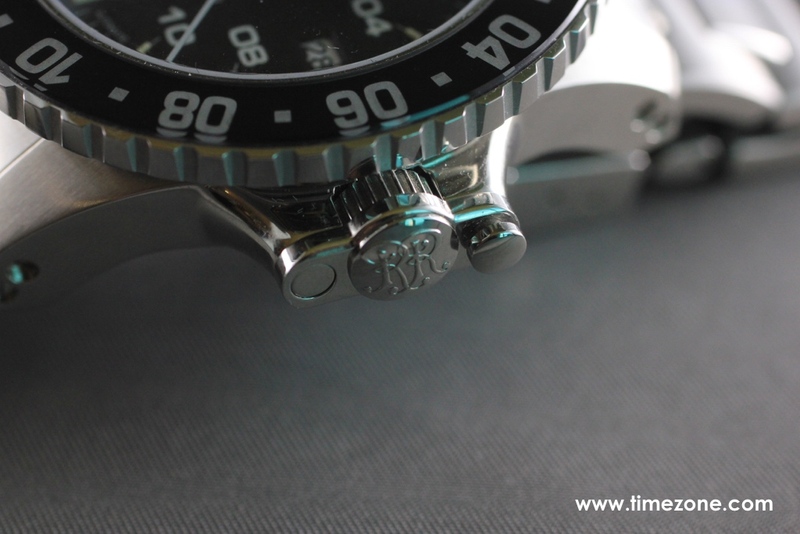 Inside the lightweight, 43mm titanium carbide case beats an automatic BALL RR1103-C COSC-certified movement that is shock resistant (5,000G), anti-magnetic (4,800 A/m) and water-resistant (100M). 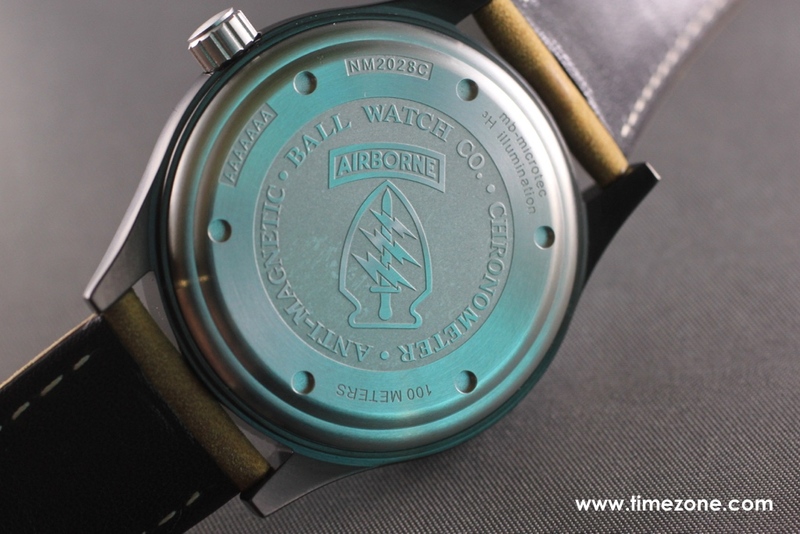 The solid caseback is engraved with the US Army Special Forces Airborne insignia. 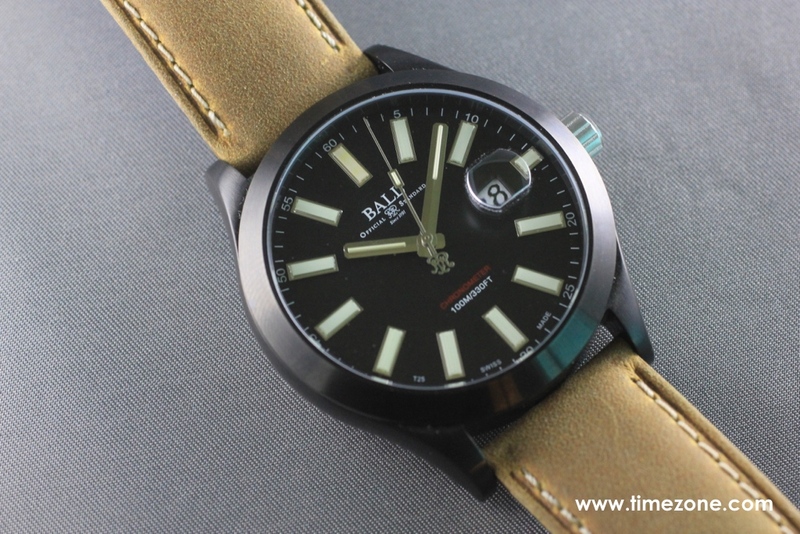 The timepiece is fitted with a stylish nubuck suede leather strap. Price is $2,199. μ (Mu) is the twelfth letter of the Greek alphabet and is used in physics formulae to represent permeability. MuMetal is a nickel-iron alloy with exceptionally high magnetic permeability. 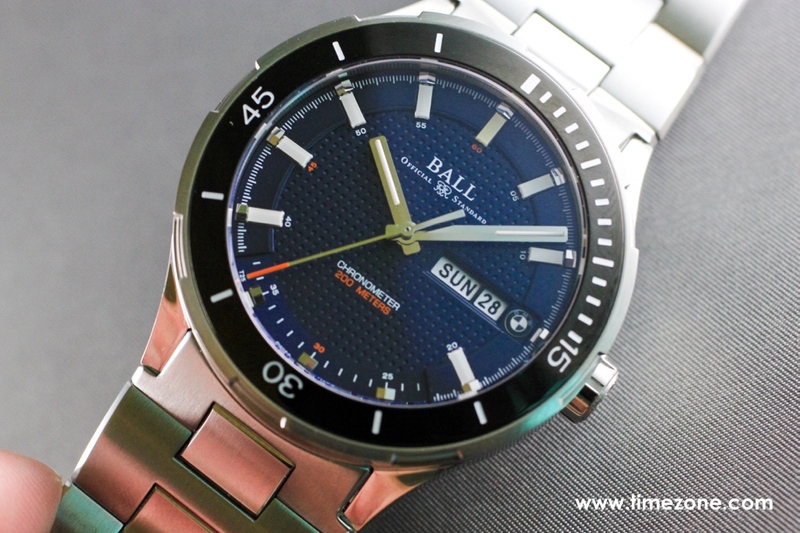 BALL is the first to introduce MuMetal to watchmaking, with the entire Engineer II Volcano case fabricated from MuMetal and carbide composite. 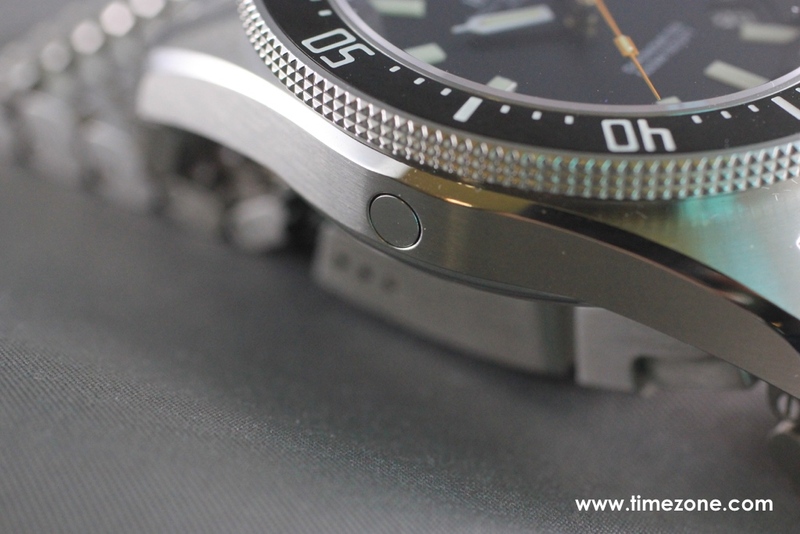 The result is a scratch-proof case with an anti-magnetic resistance of 4,800 A/m. 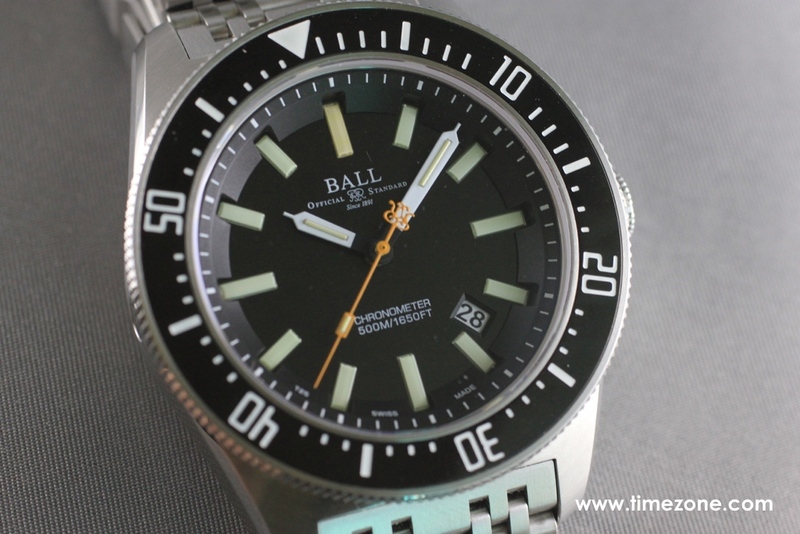 The automatic BALL RR1102-C is a rugged COSC-certified caliber that is shock resistant to 5,000Gs. 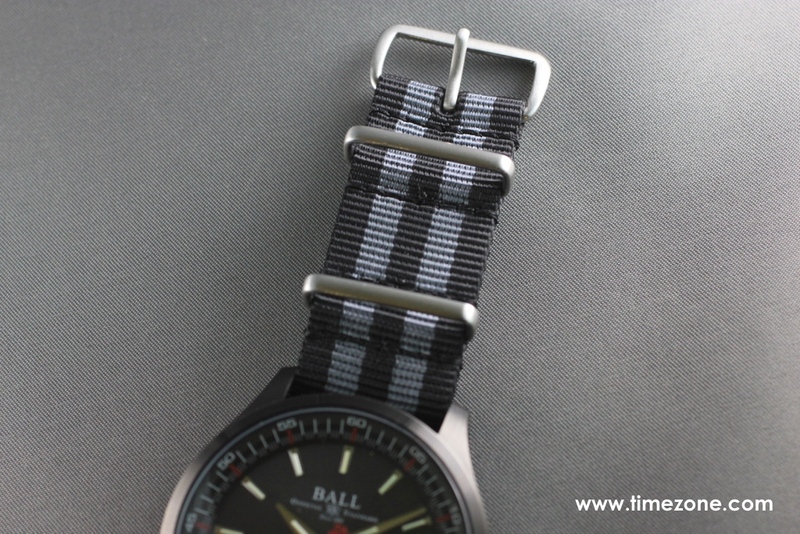 Price is $3,699, and includes both a canvas NATO strap and rubber strap. 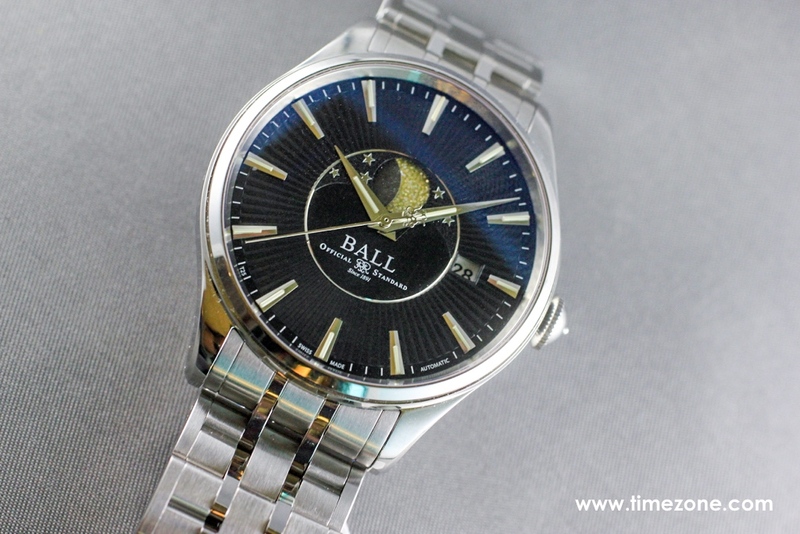 One of the most stylish BALL Watch collections is designed by Magali Métrailler, who worked for Jaeger-LeCoultre for several years designing the Master Compressor, AMVOX, Gyrotourbillon I and II, amongst others. This year's BMW Timetrekker expands the collection with a three-hand timepiece with ceramic bezel. The unidirectional ceramic bezel frames a blue or black dial with a perforated texture inspired by the leather interior of BMWs. 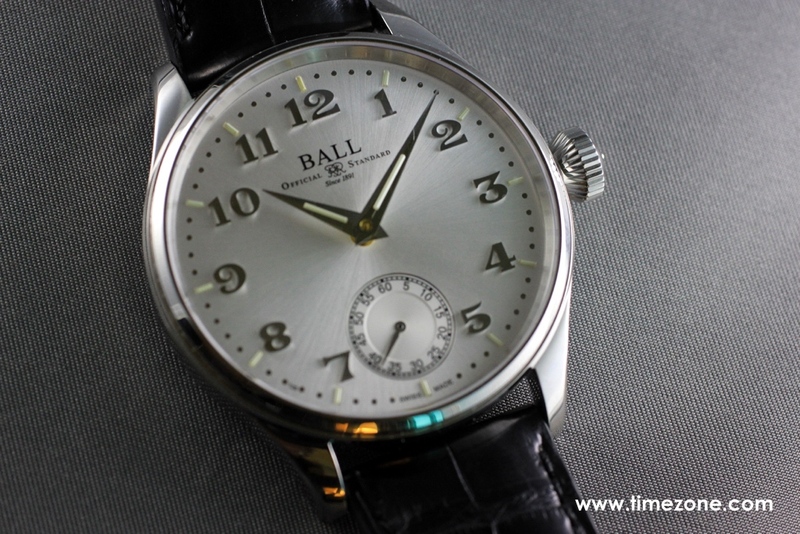 The 44mm stainless steel case houses an automatic BALL RR1102-C movement that is COSC-certified and fitted with BALL's patented Amortiser anti-shock system. 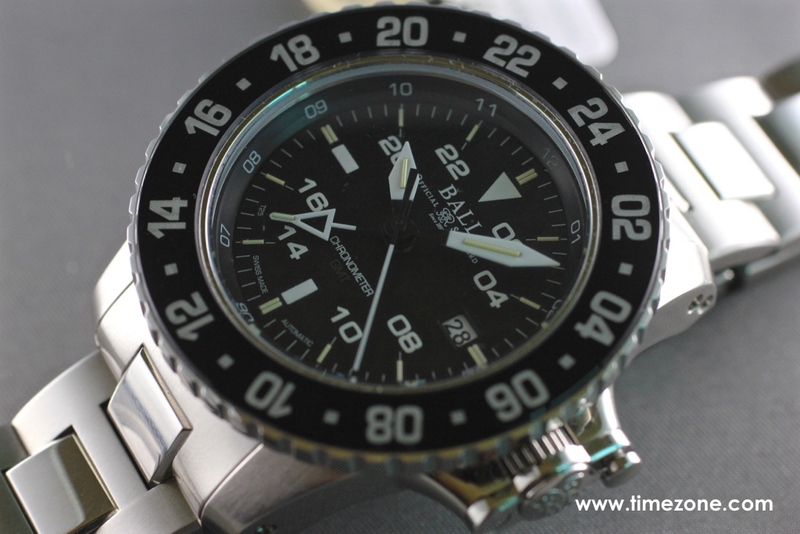 The timepiece is antimagnetic (4,800A/m) and water-resistant to 200M. Price is $3,699 on a tapered stainless steel bracelet with deployant clasp, and $2,999 on rubberized leather strap with tang buckle. 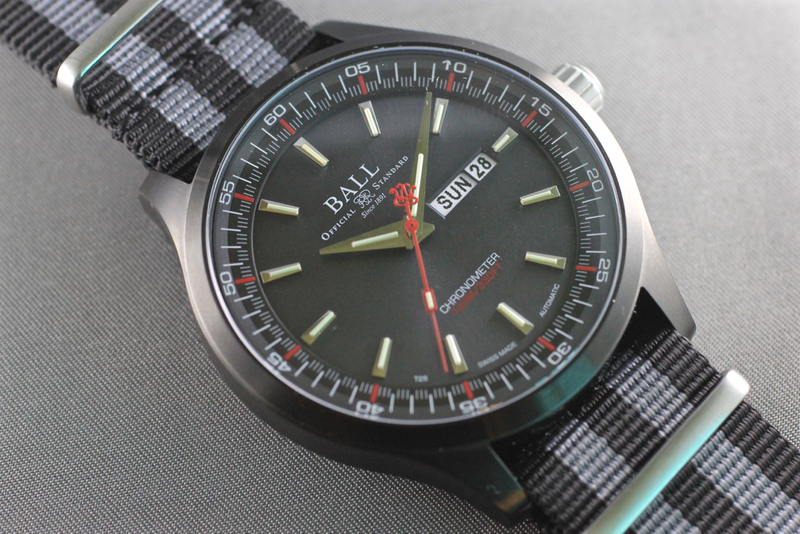 The Trainmaster Cleveland Night Express is a classic three-hand timepiece with subsidiary dial. 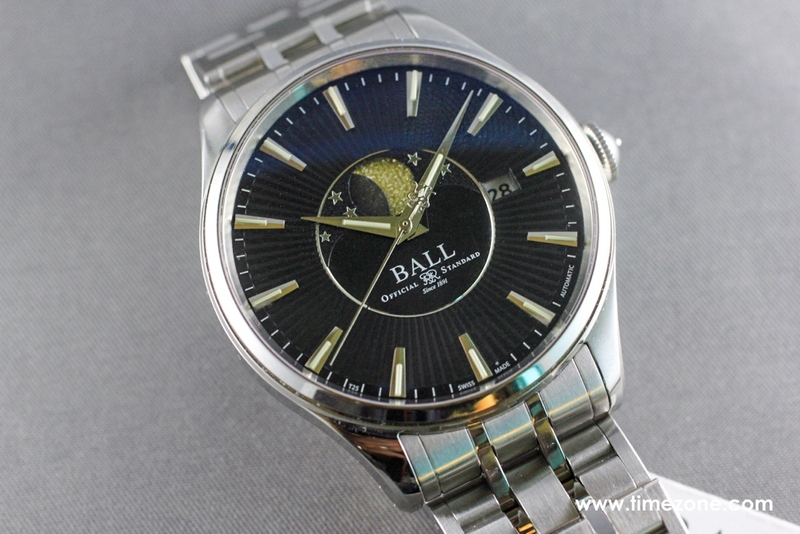 The timepiece features a 44mm stainless steel case that houses a 17-jewel, BALL RR2101 manual-wind movement that is shock resistant to 5,000Gs. 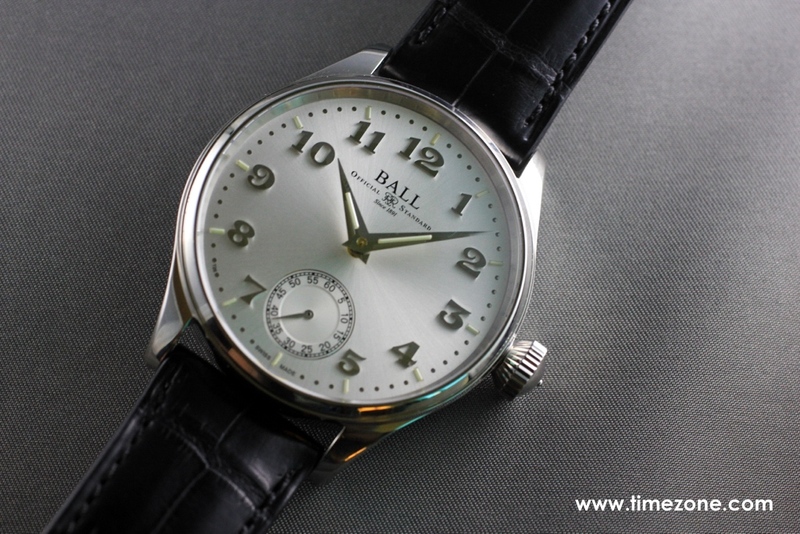 The silvery white dial has a sunray finish and applied Breguet numerals. 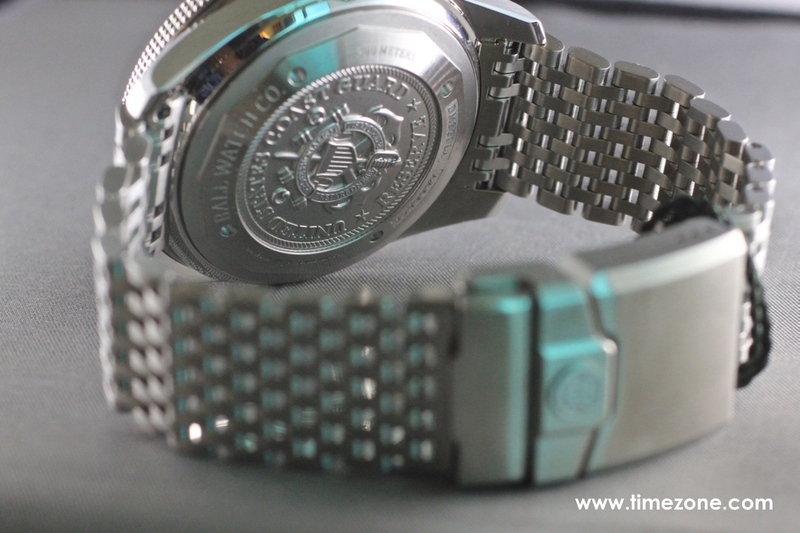 The timepiece is fitted with a crocodile strap and tang buckle. The Trainmaster Cleveland Night Express is limited to 999 pieces. Price is $2,799. 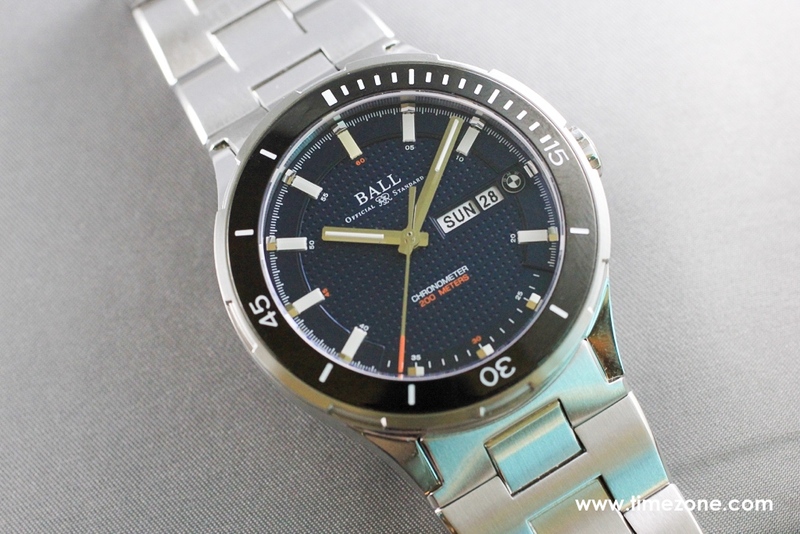 Finally, BALL Watch introduces another affordable complication. 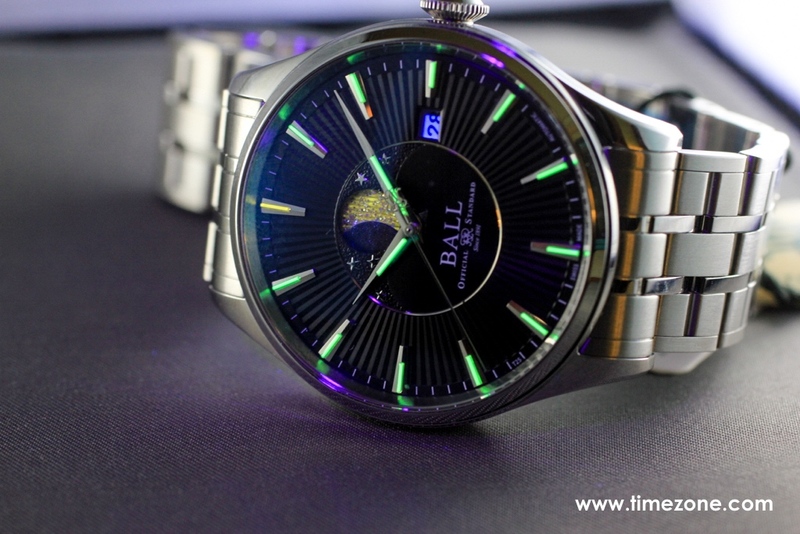 The Trainmaster Moon Phase features a central mooonphase disc that is backlit by an array of tritium tubes and decorated with shimmering stars. The central moon phase is framed by a black, blue or silver dial decorated with guilloché pattern that radiates from the center of the dial. 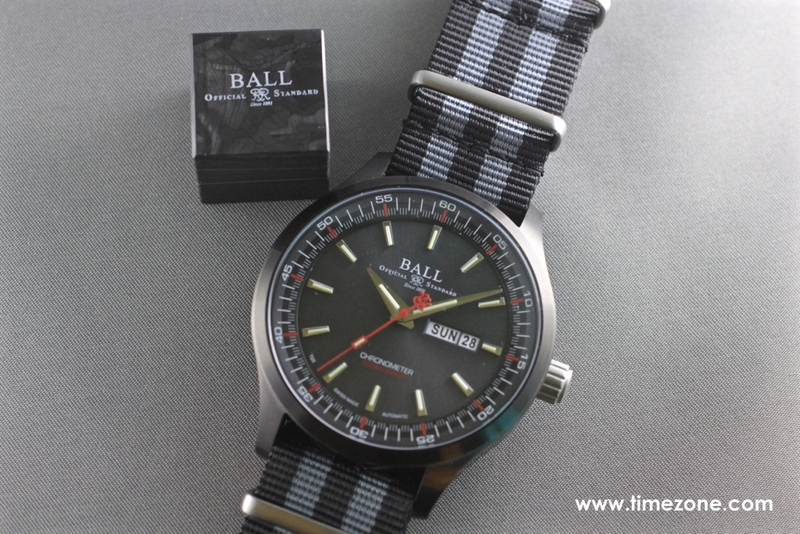 The 40mm stainless steel case houses an automatic BALL RR1801 COSC-certified movement that is shock resistant (5,000G), anti-magnetic (4,800 A/m) and water-resistant (100M). 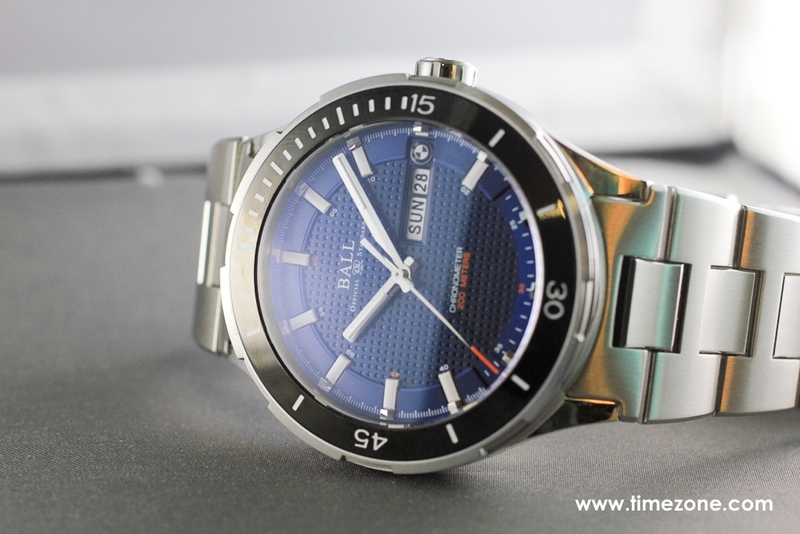 Price is $2,299 on either a stainless steel bracelet or crocodile leather strap. 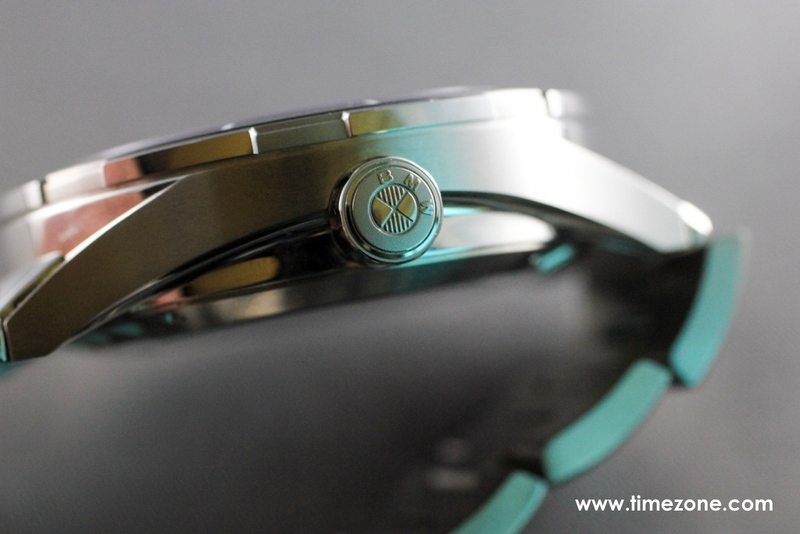 For ladies, a companion timepiece that measures 34mm in diameter is available with a natural mother-of-pearl dial. 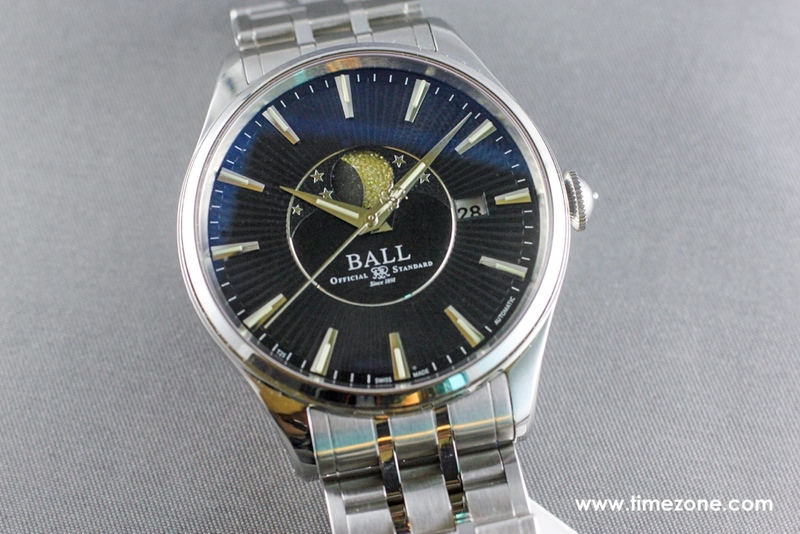 Price for the Trainmaster Moon Phase Lady is $2,199. Previous Topic: Just for you Bruce!